Well now that we have a director confirmed, it’s time for an onslaught of casting rumors. 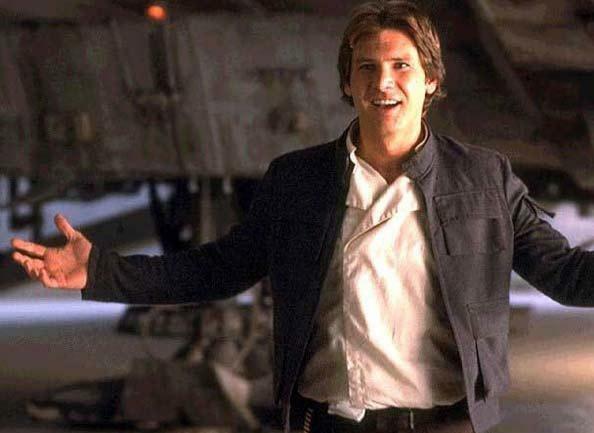 Latino Review (who all things considered is a relatively trustworthy source) has announced that director J.J. Abrams has confirmed Harrison Ford to reprise his role as Han Solo in the next installment in the Stars Wars series. Now, I know most Star Wars fans are hyperventilating, and I just caught my breath too. But until I hear it directly from Disney themselves, I’m going to take every rumor with a huge grain of salt. However this casting rumor isn’t totally unreasonable. Harrison Ford has said how he would love to go back to the character of Han Solo (he would want him to get killed off, though). If you remember from our previous posts, Disney has also announced their interest in creating solo spin-off films about specific Star Wars characters, including a young Han Solo and Boba Fett. Is it totally out of the realm of possibilities that Mr. Solo will be in Episode VII? Absolutely not. So again, don’t take this casting rumor for set in stone fact, because casting can always change. However, I would not be surprised if when production on the newest film starts later this year, Harrison Ford is making the Kessel Run in less than twelve parsecs. You can click through the break for one of my favorite Han Solo moments from the original trilogy. Oh Han, you’re so rough around the edges.